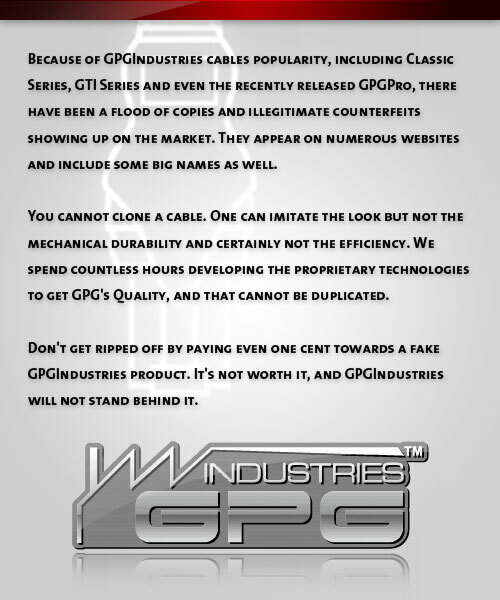 Scard internal issue with self locking..
Posted in GPGIndustries News, GSMHosting News | Comments Off on [FURIOUSGOLD] NEW MODULES UPDATES AND FULL INSTALLER RELEASED ! OT-A460G – Read info/Backup & Restore Security/Format Phone/Erase FRP. OT-A463BG – Read info/Backup & Restore Security/Format Phone/Erase FRP. OT-A464BG – Read info/Backup & Restore Security/Format Phone/Erase FRP. OT-466BG – Read info/Backup & Restore Security/Format Phone/Erase FRP. OT-5085C – Read info/Write Firmware/Unlock Simlock/Backup & Restore Security/Format Phone/Erase FRP. OT-5085A – Read info/Write Firmware/Unlock Simlock/Backup & Restore Security/Format Phone/Erase FRP. OT-4049G – Read info/Write Firmware/Unlock Simlock/Backup & Restore Security/Format Phone/Erase FRP. OT-4049D – Read info/Write Firmware/Unlock Simlock/Backup & Restore Security/Format Phone/Erase FRP. OT-4049M – Read info/Write Firmware/Unlock Simlock/Backup & Restore Security/Format Phone/Erase FRP. Blade A520 – Read info/Write Firmware/Unlock Simlock/Backup & Restore Security/Wipe/Format Phone/Erase FRP. Blade V6 – Read info/Write Firmware/Unlock Simlock/Backup & Restore Security/Wipe/Format Phone/Erase FRP. Blade T660 – Read info/Write Firmware/Unlock Simlock/Backup & Restore Security/Wipe/Format Phone/Erase FRP. Blade A601 – Read info/Write Firmware/Unlock Simlock/Backup & Restore Security/Wipe/Format Phone/Erase FRP. Blade A602 – Read info/Write Firmware/Unlock Simlock/Backup & Restore Security/Wipe/Format Phone/Erase FRP. Blade A610 – Read info/Write Firmware/Unlock Simlock/Backup & Restore Security/Wipe/Format Phone/Erase FRP. Blade A610C – Read info/Write Firmware/Unlock Simlock/Backup & Restore Security/Wipe/Format Phone/Erase FRP. TAG-AL00 – Read info/Write Firmware/Unlock Simlock/Backup & Restore Security/Wipe/Format Phone/Erase FRP. TAG-CL00 – Read info/Write Firmware/Unlock Simlock/Backup & Restore Security/Wipe/Format Phone/Erase FRP. TAG-TL00 – Read info/Write Firmware/Unlock Simlock/Backup & Restore Security/Wipe/Format Phone/Erase FRP. TAG-L01 – Read info/Write Firmware/Unlock Simlock/Backup & Restore Security/Wipe/Format Phone/Erase FRP. TAG-L03 – Read info/Write Firmware/Unlock Simlock/Backup & Restore Security/Wipe/Format Phone/Erase FRP. TAG-L13 – Read info/Write Firmware/Unlock Simlock/Backup & Restore Security/Wipe/Format Phone/Erase FRP. TAG-L21 – Read info/Write Firmware/Unlock Simlock/Backup & Restore Security/Wipe/Format Phone/Erase FRP. TAG-L22 – Read info/Write Firmware/Unlock Simlock/Backup & Restore Security/Wipe/Format Phone/Erase FRP. TAG-L23 – Read info/Write Firmware/Unlock Simlock/Backup & Restore Security/Wipe/Format Phone/Erase FRP. ZenPad 10(Z300M) – Read info/Write Firmware/Unlock Simlock/Backup & Restore Security/Wipe/Format Phone/Erase FRP. WIKO Jerry 2 – Read info/Write Firmware/Unlock Simlock/Backup & Restore Security/Wipe/Format Phone/Erase FRP. PHILIPS S329 – Read info/Write Firmware/Unlock Simlock/Backup & Restore Security/Wipe/Format Phone/Erase FRP. What’s new in VolcanoBox Inferno Unitool 1.5.7 ? Posted in GPGIndustries News, GSMHosting News | Comments Off on VolcanoBox Inferno Unitool 1.5.7 Added Support for OnePlus Phones & Much More !! What’s new in Volcanobox MTK 1.4.4 ? This *.Bin is Factory Bin File So. it’s Support All Securities Till now.